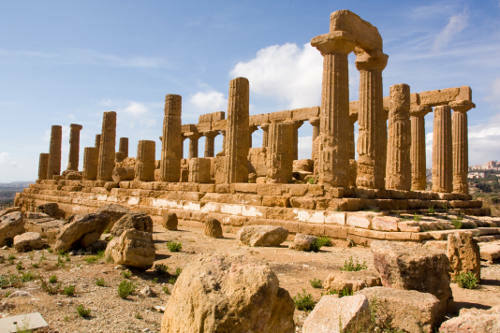 The island of Sicily is a well known and beautiful destination off the Southern coast of Italy’s mainland. The residents are intensely proud of their heritage and culture. The island has been ruled by many different nations and empires over time and as a result, the culture, language and cuisine is diverse and fascinating. It boasts dozens of unique cities, each offering something special and different to travellers. The island is home to several UNESCO World Heritage Sites, amazing architecture, incredible ruins, breathtaking scenery and magnificent cuisine. 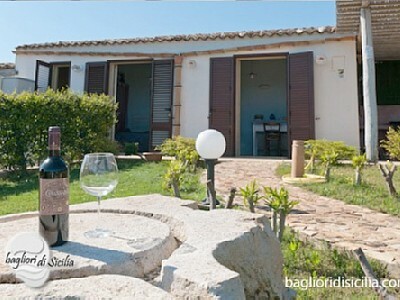 While there are plenty of different accommodation options offered in Sicily, the best way to stay on the island is certainly to rent one of the beautiful Italian villas. Many people assume that they will be unnecessary or too expensive, but that is not always the case. Read on to learn a little more about the benefits of a villa, how to compare a hotel room to a private villa and expected costs. Perhaps the biggest difference between a hotel and a villa in Sicily is the space you will have for your family. A hotel room can be idea for visitors not needing really big rooms, especially for larger groups, families or those travelling with small children. A villa, on the other hand, is typically very spacious and will include several rooms as well as an outdoor living area. Another big advantage of choosing a villa over a hotel is that a villa in Sicily will give you far more privacy. Rather than having other hotel guests above, below and on either side of your accommodation, a villa will have far more privacy and be much quieter. If the weather is bad one day in a hotel, you might feel cramped and forced to stay in a small space. In a villa you will have plenty of room to relax, play games or even cook in the kitchen. Many Sicilian villas boast an outdoor swimming pool specifically for guests. This is one of the top amenities that makes a holiday accommodation truly spectacular. Rather than sharing a pool with hundreds of other guests you can enjoy having an exclusive swimming spot all to yourself. Many villas also have amenities like en suite bathrooms, entertainment centres complete a television, a gaming console and movies and even a fully equipped kitchen. At the more exclusive end there are even villas that come with household staff. Drivers, gardeners, housekeepers and chefs are not uncommon additions in a lavish Sicilian villa rental. The costs of a villa in Sicily varies greatly depending on a number of factors. If you want a large villa for ten people or more with beach access, staff and a pool you can expect to pay upwards of three thousand Euros per week. Smaller villas in less ideal locations or without a pool can be booked for as little as six hundred Euros a week, which is cheaper than many hotels. If you are travelling in a large group that will require more than one hotel room for the duration of the vacation in Sicily, a villa may actually be the more affordable option overall. Keep in mind that a fully equipped kitchen means you can prepare and cook food in the villa rather than eating out in expensive hotel restaurants three times a day. Visiting Sicily is a wonderful chance to explore a unique side of Italian culture, dine on incredible cuisine, and explore the cities and the ancient ruins. The San Domenico Palace Hotel sits in a truly magnificent setting that has attracted people from ancient times. A luxury 5-star hotel in an ancient Dominican monastery, it has views over Mount Etna and Taormina Bay on the east coast of Sicily not far from Messina. The Grand Hotel Villa Igiea brings you a 5 star hotel experience in a sumptuous villa right on the Palermo coast, the historical capital of sun-soaked Sicily.